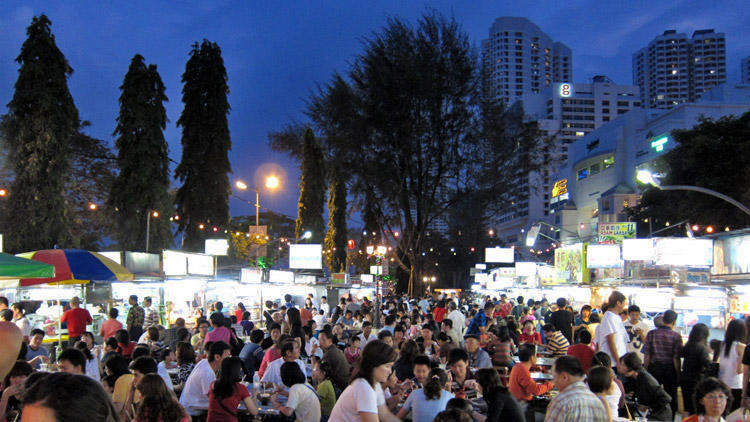 Penang is a nice, affordable weekend destination, with lots of good food and shopping. 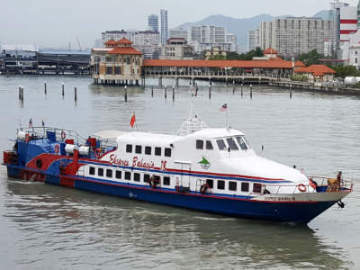 Singaporeans going to Penang should take advantage of low bus fares instead of paying for a full-priced flight, while people visiting Singapore should try to squeeze in a trip to both Kuala Lumpur and Penang to get a taste of Malaysia. Starmart Express, allows passengers to board at Golden Mile Tower (Beach Road) or Boon Lay and drops them off at Butterworth and Sungai Nibong. The online booking service allows you to see how many tickets are left on a particular journey. Another popular bus company for the Singapore-Penang route is Sri Maju and the bus leaves fron Golden Mile Complex. The one-way bus ticket from Singapore to Penang starts from SGD35. If, however, you'd prefer more destination options and better prices, take the Malaysian express bus from JB Larkin Terminal to Penang. Bus companies such as Jadam Express, KPB Ekspress, Supernice, Seasons(Fame Pacific), Yellow Star(Enrich Global) and etc. go to various destinations in Penang including Bukit Mertajam, Butterworth, Nibong Tebal and Sungai Nibong. Bus fares are priced in Malaysian Ringgit and start from MYR70 or about SGD24. Note: To find out how to take a bus to Larkin Terminal from Singapore, click here. Assuming that you want split up the 10-hour bus journey, you can make a stopover at Kuala Lumpur. First take a bus to Kuala Lumpur from Singapore which takes about 6-7 hours depending on your drop-off points and then another 5-6 hours bus to Penang from Kuala Lumpur. You can take the express buses from Putrajaya Sentral, Hentian Duta or TBS(Terminal Bersepadu Selatan). The bus tickets from Kuala Lumpur to Penang are priced in Malaysian Ringgit and start from MYR30. Here's a couple of websites offering bus tickets online: BusOnlineTicket.com and Easybook.com. With online booking you can compare bus fares and select timing from a wide selections of bus operators. Thankfully, accommodation in Penang is both plentiful and affordable. Sunway Hotel is my personal favourite. At USD65 a night, it may not be the cheapest, but its centrally located and near some good eateries. The food here is famed for its simplicity and authenticity: everything from char kuey kak, o-chien and of course, satay. If you prefer the relaxing atmosphere of Penang's coast, consider Rainbow Paradise Beach Resort, 15 minutes away from Georgetown. 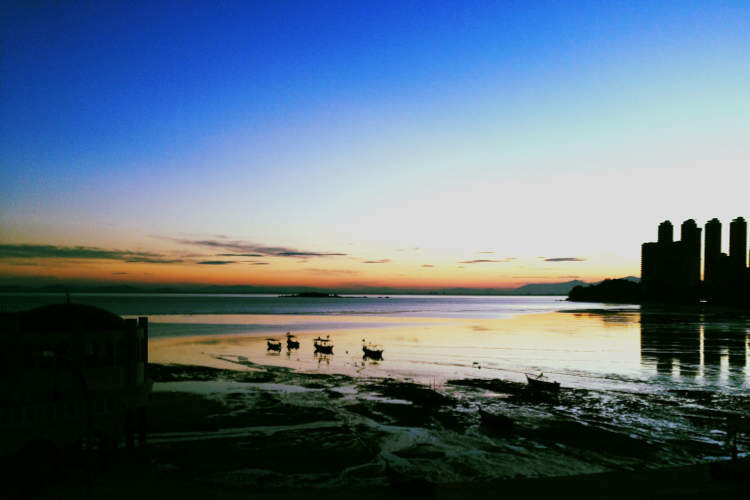 On Tanjung Bungah Beach, the resort offers a great view of the sea and is comfortable and clean. Georgetown, the capital of Penang, was inscribed as a UNESCO World Heritage Site in 2008, for its unique architecture and culture. Walking around the city is a pleasant experience and great for pictures. 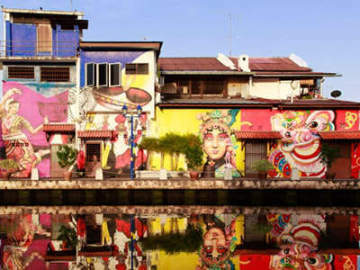 Malacca has also received this honour; check out our guide to Malacca. For a breath-taking (and chilly) view of Penang, head up to Bukit Bendera at night by the Penang Hill Railway ($12 per adult). Air atop the hill is gloriously cool and fresh and visitors can enjoy the view with some delightful food and drink from one of the many eateries. 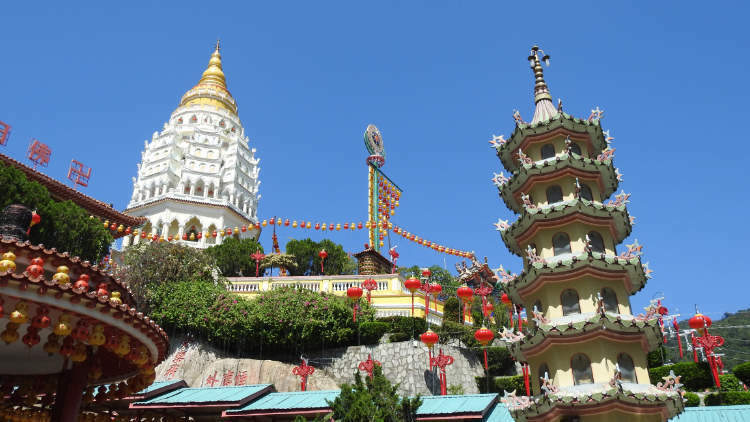 Some other popular attractions include the Penang durian farmstay(home to the All-you-can-eat Durian Buffet) and the Kek Lok Si Temple, known as the biggest Buddhist temple in South-east Asia. The sprawling complex is made up of a serious of towering pagodas, marbled floors and elaborate structures.